The H-1B Visa cap, enforced by USCIS, has a congressionally mandated limit of 65,000 for the regular pool and an additional 20,000 for the advanced degree. Be aware that not all H-1B nonimmigrant visas are subject to the annual cap. 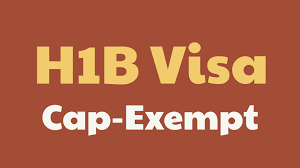 Additionally, if you are already an H-1B visa holder and want to transfer employers or extend your status, then you have already been counted against the cap and your petition will be considered cap-exempt. Keep in mind that transferring your status from one employer to the next has a caveat. If you originally came to the U.S. through a cap-exempt employer, then transferring to another cap-exempt employer is not a problem. However, if you decide to transfer to a cap-subject employer, you will need to go through the lottery process.